A beautiful image, and the light is lovely. The poem and the image are beautiful together. Hope this day finds you well. Beautiful shot and poem. 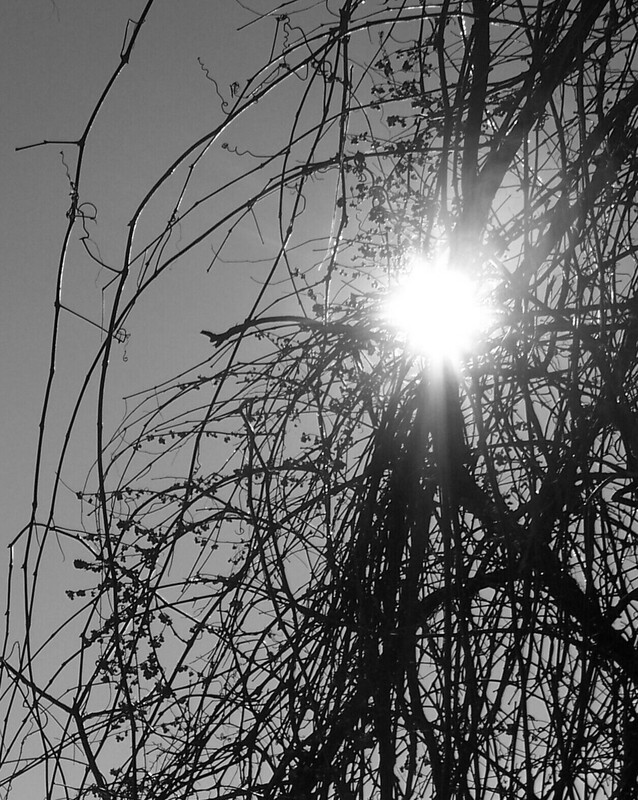 I love the way the sun looks breaking through the entwined limbs. Beautiful photo along with nice poem. The sun looks like the biggest fruit on that tree! Great photo, and your words are always so...soothing, calming, meditative. Thanks Laura. A great backlight with beautiful silhouettes. Lovely! My belly filled with warmth as I read it! Love the quote by the rabbi! I love your poetry. This one expresses winter and the hope of spring perfectly in so few words. A magical picture, and such soothing words. Super-Gorgeous image and such beautiful words! Shine On Laura! Have a wonderful wkd! Thanks for your lovely visit always! "perfect harmony of words and visuals..."
fruit even amidst the tangled branches... lovely photo and verse, laura. That's a beautiful photo, and great verse! I am so impressed at how well you can write such beautiful poetic words and connect them to beautiful visual images. Very beautiful! 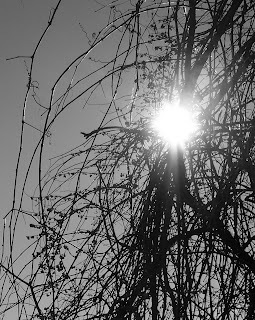 There is something very symbolic about the grace of sunlight piercing through tangles! And loved you reflective stone too! love the sun popping through!